The holidays are here! This is my first holiday season as a FODMAP free person. Over Thanksgiving, I decided I would eat whatever I wanted without consideration for my IBS. I had the works: sausage stuffing, oatmeal bread, cranberry/apple/celery relish, and chocolate cream pie. Immediately after consuming my dessert, I got an intense migraine and my husband and I had to leave the family party. For five days after Thanksgiving, I got migraines regularly. I was achy, tired, and had stomach problems. The biggest issue was brain fog, which I got after eating every meal. At times, it would get so intense that I’d have to lay down and take a nap for an hour. I rarely nap and it’s usually a sign that there’s something wrong with me, health-wise! Needless to say, I think I learned a valuable lesson: everything in moderation, especially if you’re on a restrictive diet! This Christmas/Hanukkah, I wanted to indulge, but be mindful of my health. I decided to try to find as many food items as I could that would be easily modified for low FODMAP needs. Without further ado, here are two great low FODMAP items to bring to your next holiday party! a few notes: I live by a raw juice shop that sells 4 oz ginger shots, so I was able to add that into the drink as opposed to juicing ginger root. For the sweetener, I used plain white sugar. The original recipe calls for honey, but in order to keep this low FODMAP, I omitted it. You could use coconut sugar or maple syrup, but keep in mind maple syrup may change the overall taste to something gingery-mapley. 1. 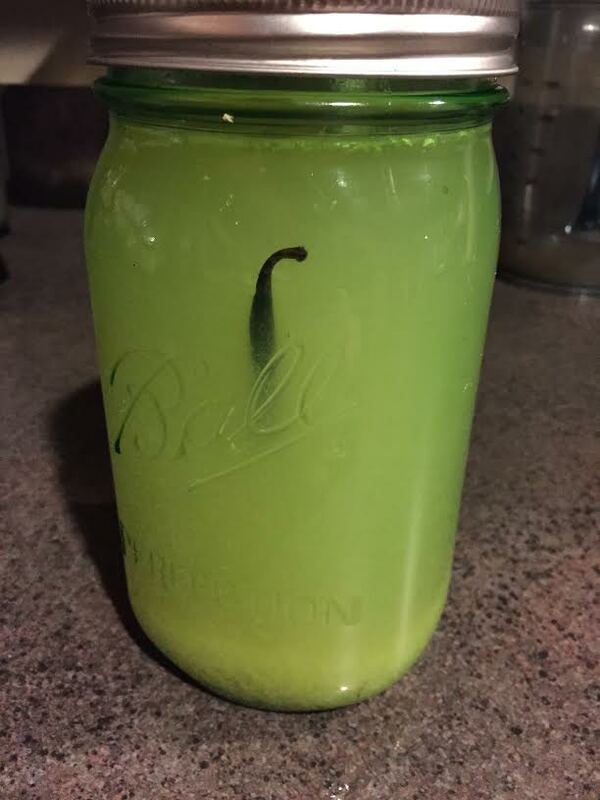 Combine vodka, grated ginger, ginger juice, lemon zest, lemon juice, vanilla scrapings, and vanilla pod in a large mason jar. Screw on lid, and give several good shakes. 2. Put in refrigerator, and let steep for 24 hours. Give the jar several strong shakes every few hours. 3. After it has fully steeped, strain vodka mixture through a fine sieve into a large bowl, and discard solids. 4. Put sweetener of choice in a large glass measuring cup. Add boiled water, and stir until sweetener is fully dissolved. 5. Using a funnel, pour the vodka mixture into an empty 750 ml bottle. Tightly cap the bottle and refrigerate for a few hours or until completely chilled. Mix with fizzy water, like club soda or sparkling water, and enjoy its subtly sweet, spiciness. Be sure to add only a shot into your glass! Don’t make the mistake I did: I poured it like a real drink and topped with a little bit of fizzy water. It was really strong and intense!! Next drink I have will be the other way around! 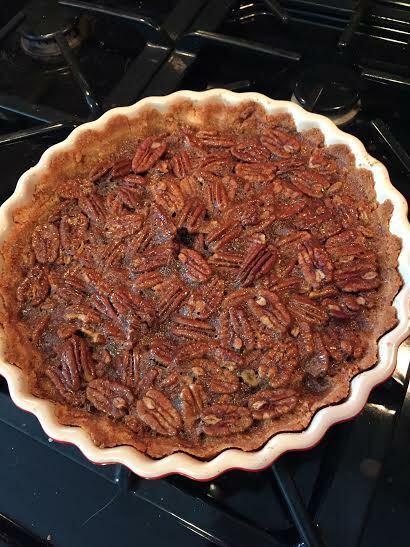 Next recipe: this GLUTEN FREE, decadent, PECAN PIE! 1. Preheat oven to 350F. Add unsweetened coconut, coconut milk, and coconut oil to a food processor outfitted with a “S” blade. Blend for 3-5 minutes or until the mixture is sticky. 2. Place coconut mixture in a 10″ pie plate or tart dish. Spread the coconut mixture to cover the pie dish. 3. Press the coconut down into the dish and up the sides, until it’s all well covered. 4. Using parchment paper or foil, cover the edges of pie crust while showing the middle. 5. Bake for 10-12 minutes. Remove from oven, let cool slightly. Next, turn oven up to 375F. 6. Add chocolate chips to the bottom of the pie crust. 7. In a medium bowl, whisk the two eggs, set aside. 8. Add butter to a large saucepan, and melt over medium-low heat. Once completely melted, add coconut sugar and maple syrup. Whisk for 2-3 minutes. Cool in pan for 5 minutes. 9. Once cooled, whisk the butter mixture with the eggs in the medium bowl. Stir in pecan pieces. 10. Pour pecan mixture over chocolate in pie crust. Bake for 22-25 minutes. Place a large cookie sheet on the rack directly under your pie pan to catch any spills that may occur. 11. Once set, remove from oven and allow to cool completely before serving. I just served this pie at my family Christmas party and it was a huge hit! Plus, no one missed the classic pie crust; everyone kept talking about how amazing the coconut crust was. I had two pieces myself! When I find gluten free dessert that tastes amazing, there’s no stopping my need to pig out! 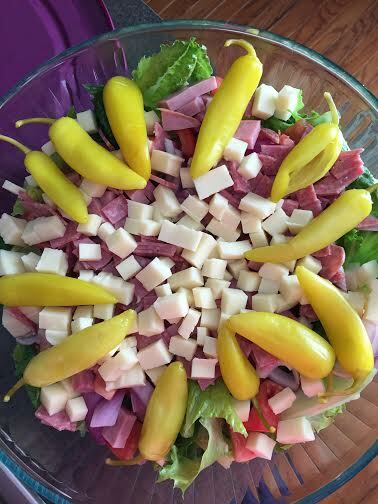 I also had to throw in a picture of this antipasto salad that I made to share with my family…it just looks so festive! Wishing all of you a happy, healthy holiday season! I hope you all enjoy these recipes and can bring them to your gatherings. 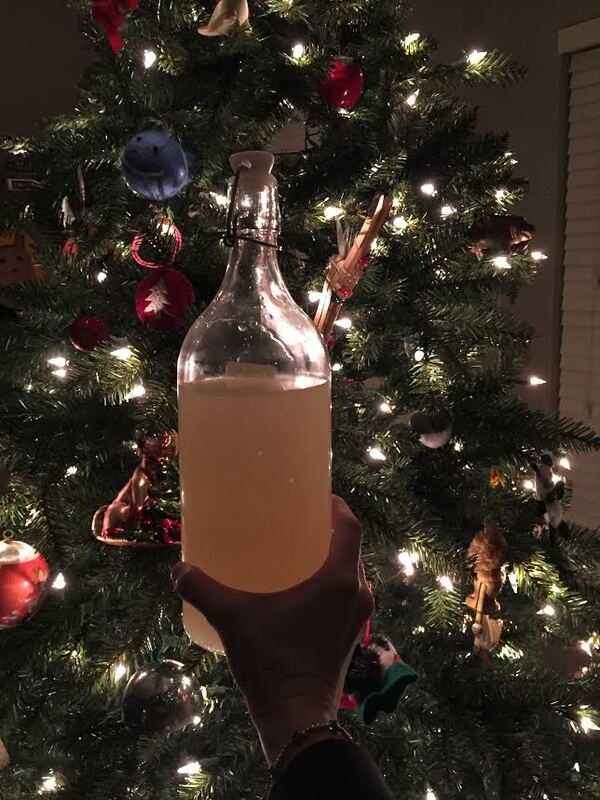 I’d love to hear about any holiday food adaptations you’ve had to make!